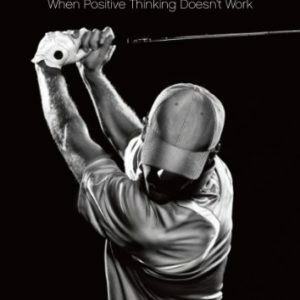 An alternative to popular Positive Thinking this ground breaking book on Golf Psychology reveals the practical mindfulness techniques and philosophies that will help you to play your best golf when it matters. Author Jon Adler has worked with Touring Professionals and Amateurs for over ten years, helping them to overcome mental problems and blocks by developing the Art of Relaxed Concentration. Once you have made your purchase you will be emailed a download link. What do you do when positive thinking stops working? Really, I’m serious. 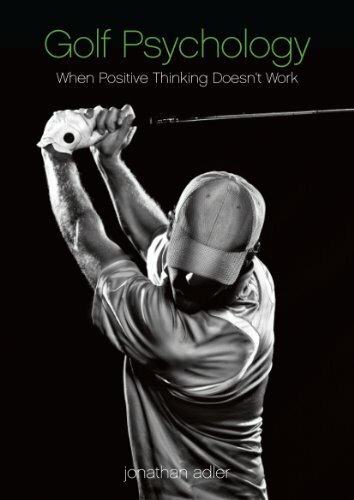 If you have ever tried being really positive while playing golf, you may have experienced some success but what do you do when you start playing poorly? It is very hard to keep positive when you have no idea where the ball is going. I tried the positive thinking route myself and when things got tough the only explanation for my poor performance was that I was not being positive enough. There had to be more to it than that I thought, so I went about trying to discover the truth about how our mind gets in the way of good performance. What I found changed the way I played and coached golfers forever. What I am going to share with you has the ability to do the same for your game. You have the opportunity to really understand what is causing your golf to be erratic. You can stop riding the roller coaster of emotions, from frustration to disbelief and back, and develop a way of thinking and playing that provides you with a calm confidence in your ability to play to your potential. By adopting this new way of practicing and playing you can find another level of performance that is not defined by your past levels but reaches new heights. Calm and confident, focused and enjoyable golf. I am sharing my techniques with you having practiced them with golfers of all abilities for the last ten years. While it must be stressed that these techniques will not appeal to everyone, the benefits of their use are universal and you need only bring an open mind, patience and persistence and you are bound to get good results. 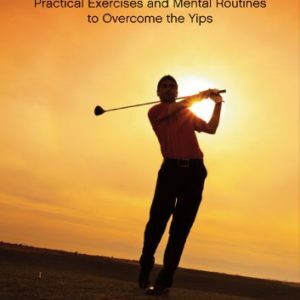 I have worked with amateurs who have struggled with the yips and the shanks and helped them overcome them using these techniques. I have worked with professionals who were not making their fair share of putts and they have turned their putting around to go on and win repeatedly. For the long game and the short game these techniques help you to overcome your doubts and play to your potential. The key skill that you will learn to improve is the skill that underpins peak performance in every walk of life, relaxed concentration. Golfers and golf commentators often talk about focusing well and good concentration, but there is little information about how to improve and perfect relaxed concentration, a skill that all agree is a prerequisite for good golf. This is not popular golf psychology. I will not encourage you to sit in a chair, close your eyes & imagine yourself playing really well. If you want the positive thinking route then don’t buy this book. I only deal with reality. In fact it has been said that my techniques are so simple that you actually think much less on the golf course & play better. Does that sound good to you? Are you ready to uncover your potential?